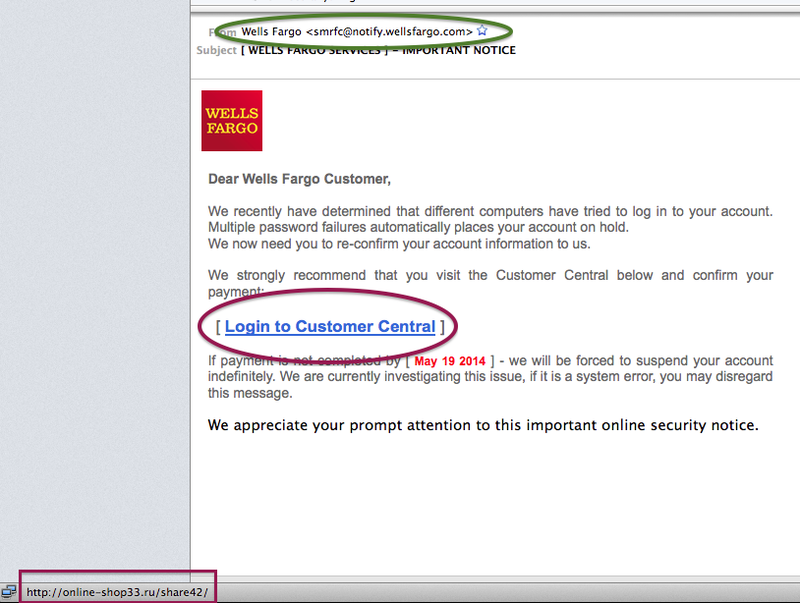 I received an email purporting to be from Wells Fargo Bank. I hovered my mouse over the Login to Customer Central link they so helpfully provided. You can see in the lower left the link takes me to a web site with a Russian domain. Amateurs!